Here is a roundup of Azure blogs and whitepapers which I will be reading this month. This is the latest as at June 2014, and there is a focus on cloud security in the latest whitepapers, which you can find below..
· PolyBase in APS – Yet another SQL over Hadoop solution? Windows Azure Security: Technical Insights. Update to the Security Overview whitepaper which provides a detailed description of security features and controls. Security Best Practices for Windows Azure Solutions. Updated guidance on designing and developing secure solutions. Windows Azure Network Security. Recommendations for securing network communications for applications deployed in Windows Azure. Microsoft Antimalware for Azure Cloud Services and Virtual Machines This paper details how to use Microsoft Antimalware to help identify and remove viruses, spyware, and other malicious software in Azure Cloud Services and Virtual Machines. Here is a group of Cloud OS videos for your viewing. Enjoy! I’m particularly looking forward to ‘pants versus shorts’, for example! Now available is the Power BI connectivity to SAP BusinessObjects BI, a joint business intelligence interoperability solution delivered with SAP in Microsoft Excel, Power BI for Office 365, and SAP BusinessObjects BI. With this solution, users can connect to SAP BusinessObjects BI Universes as another supported data source in Power Query for Excel, enabling them to access and analyze data across the enterprise and share their data and insights in the cloud and any device through Power BI. Microsoft currently offers multiple ways to interoperate with SAP. The BI connectivity is another option customers have using Excel and the latest version of SAP BusinessObjects BI. Users can rely on the latest, accurate, and trusted enterprise data directly in Excel through an SAP BusinessObjects BI Universe without having to wrestle with copying and pasting or manually importing data. Companies that have made investments in both BI stacks can now effectively leverage their technology investments to maximize ROI. IT can also use the connectivity to continue to manage critical company data sources while giving business users access to trusted enterprise data in familiar tools they use every day without requiring them to learn new skills. Like that crazy uncle who bailed you out of a jam without saying a word to your parents, Dear Azure is here to help. Dear Azure supplies unique answers to all of your cloud questions. Want to host your Java application in the cloud? Need to scale resources dynamically? Answers to these and many more are featured on DearAzure.com. So go ahead, ask away! Apologies to Lord Tennyson for misquoting his wonderful poem “The Eagle”! 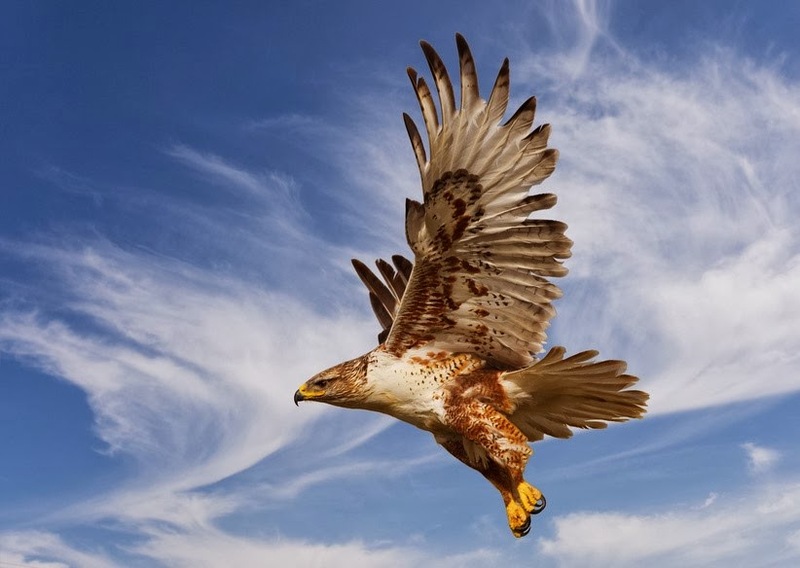 In the technical community, we do need to be ‘eagle eyed’ because there are a lot of infrastructure changes and people will need to keep watching out for them! If you like an in-person event, please take a look at SQLRelay and the Cloud OS CommunityRelay for news and technically-oriented sessions on SQL Server 2014, Windows Server 2012 R2 and Systems Center 2012 R2. What’s the news here? On the October 31, 2013, notification went out to current Windows Azure SQL Reporting customers that the service will be discontinued in 12 months. What was Windows Azure SQL Reporting? It was is a cloud-based reporting service for the Windows Azure Platform built on SQL Server Reporting Services technologies. As a big SSRS fan, who has presented on SSRS and Azure together, I was disappointed that the service was going. So what about the move to Windows Azure Virtual Machines for SSRS? However, my disappointment was quickly dissipated when I realised that the Microsoft vision is users will have VMs with SSRS for their Azure reporting instances. My belief is that people will probably find it pretty easy to move their Windows Azure SQL Reporting solutions towards SSRS on Windows Azure VMs. IT departments are used to VMs, and I see an increasing trend towards virtualisation amongst many of my customers already. Using a VM, you can deploy an operational reporting solution in the cloud that supports either the Native or SharePoint mode feature set. Will I get the same features that I had before? Fortunately, a VM with SQL Server 2008 R2 or 2012 supports all Reporting Services features, including all supported data sources, customization and extensibility, and scheduled report execution and delivery. This means that users should see no change from their perspective, and that is a good thing. Performance – It was well known that Windows Azure SQL Reporting report execution was slower than SSRS running on premises. Moving to a VM makes sense, because performance of SSRS on a Windows Azure Virtual Machine corresponds to an on-premises SSRS instance. Faster reports is always good news! Side by side testing has shown that performance gains are attributed to having the report server catalog reside on a local disk in the VM. What about my custom code? SSRS on an Azure VM supports custom code and assembly references in a report. Similarly, developers can replace or supplement report server operations by adding custom extensions. See Custom Code and Assembly References in Expressions and Reporting Services Extensions for details. Mobility – this was my favourite feature of Windows Azure SQL Reporting but all is not lost with the new vision. If it is in the cloud, then you can look at mobilising the SSRS report from the VM as you did previously with SSRS as a service. Scheduled report execution and delivery – yes! See Schedules and Subscription and Delivery. Considering a new Reporting Solution on Windows Azure? A Windows Azure VM can use Windows authentication to support single sign on. The configuration depends on your setup and your requirements e.g. whether you require validation at the report server or the backend, for example. Before you start, learn about the basic capabilities of a Windows Azure VM by watching the videos and clicking the Explore links on the Virtual Machine page on the WindowsAzure.com web site. Compare licensing costs between a predefined image and Windows Server VM running a licensed copy of SQL Server that you purchase and install separately on the VM. Depending on which SQL Server features you require, you might find it more cost-effective to purchase a Windows VM and SQL Server (Enterprise, Standard or Web edition) separately. In that case, you might want create a .vhd in-house using the installation media of the licensed copy of SQL Server, and then attach the disk to your Windows VM. As alternative to SQL Reporting, you can use the Standard edition of SQL Server, but you might choose other editions depending on the feature requirements and workloads. Choose the report server mode and features that best satisfy business requirements. The report server mode will determine which authentication subsystems and authorization models are available. While Native mode is closest to SQL Reporting, SharePoint mode provides out-of-box support for claims authentication, multi-tenancy, and load balancing. Note that claims identity cannot be flowed to most backend data sources that exist outside of the SharePoint environment, so if you use claims, realize that stored credentials of a single user identity will most likely be required for backend data access. Confirm your decisions about deployment, provisioning, report server mode, and features through proof-of-concept testing. Proof-of-concept testing includes building and publishing simple reports that allow you to validate connections from client applications so that you can test configuration, authentication, and authorization behaviors. During preliminary testing, retrieve enough data in each report to understand the expected latency for data retrieval and rendering, especially if you are testing a hybrid solution that combines cloud and on-premises services. Finally, evaluation should include a review of high availability and scalable architectures that might be necessary to support a large volume of users or report executions. Existing Projects using SQL Reporting on Windows Azure? · You will need to replace it with an alternative technology by October 2014. · Microsoft recommend a Windows Azure VM running SSRS in Native mode. · Choosing an SSRS VM preserves your existing investment in report design, so no real changes made to the reports themselves. You are not charged for VMs that are turned off. This saves you money! If you only use reports at scheduled times, for example, month end reporting, you can export a report to a static format, such as PDF. You could then stop the VM when the report server is inactive. How do you migrate to a VM? Simple! You can deploy a report server project to SSRS on a VM, setting the target server to the VM endpoint. For instructions on how to configure SSRS, set endpoints, configure the firewall, and publish and test reports, see SQL Server Business Intelligence in Windows Azure Virtual Machines. Other aspects of a transition will require replacement functionality or manual changes, such as replacing report server authentication, or changes in how client applications connect to a report server. At a minimum, you will need to update the endpoint used on the connection. For more information, see SQL Server Business Intelligence in Windows Azure Virtual Machines and Use PowerShell to Create a Windows Azure VM. SQL Reporting customers who are unfamiliar with SSRS can use the following table to compare the two platforms. No feature restrictions for Reporting Services instances on a VM, except for features that vary by report server mode or by SQL Server edition. On a VM, reports can retrieve data from any supported data source. See Data Sources Supported by SSRS for details. For feature comparison by mode or edition, see Reporting Services Report Server and Features by Edition SQL Server 2012. SQL Reporting is limited to un-federated Windows Azure SQL Databases that are part of the same Windows Azure subscription. On-demand report execution and rendering is supported, but scheduling and subscription delivery is not available. Billing is based on the compute resources required to support a VM in the data center. Microsoft recommends Medium or Large VMs for SQL Server BI server applications, depending on report volume and number of SQL Server features you plan to use. For operational reporting, you will need both Reporting Services and a Database Engine instance for the report server database. Different rates apply depending on the size of the VM, as VM size determines how much CPU, memory, and disk storage are allocated. See Pricing Details for SQL Server for more information. Note that you are not charged for VMs that are turned off, so if you only use reports at certain times, you can export a report to a static format, such as PDF, and then stop the VM when the report server is inactive. Billing is based on the number of report executions rather than compute resources. If additional capacity is required, an additional instance is added dynamically in the background. Your bill goes up incrementally, in response to the higher number of report executions. Users can authenticate to SSRS on VM using Windows authentication or Forms authentication. Support for commonly used authentication subsystems allows for greater software integration opportunities and supports identity delegation across multiple applications. For database platforms that support Windows authentication, you can take advantage of identity delegation to flow a user identity from the calling application, to the report server, to the backend database. See Authenticate to a report server and Microsoft BI Authentication and Identity Delegation for more information. A report server on a VM uses a role-based authorization model. See Granting Permissions on a Native Mode Report Server. SQL Reporting has a proprietary report server authentication subsystem, limited to defining report user identities used for sign in and role assignments. User identity cannot be deleted to other server applications. SQL Reporting uses Native mode Reporting Services roles. Reporting Services is a middle tier service that sits between backend data sources and front-end clients, such as a browser or custom web page hosting a report. When evaluating Reporting Services on a VM as your operational reporting solution, your design should position Reporting Services as a middle tier service accordingly. Architecturally and programmatically, a report server VM is equivalent to an on-premises server. Parity between cloud and on premises architecture is best achieved when other applications, such as backend data sources or front-end applications providing embedded reports, also run within the same Cloud service as the report server VM. In most cases, an end-to-end solution designed to run on-premises can be duplicated using a collection of VMs in a Cloud service. See Developer’s Guide (Reporting Services) for more information about SSRS programmability. In SQL Reporting, report access is primarily through the HTTP endpoint for URL access, or the SOAP management endpoint, often using the ReportViewer control embedded in a form or web page. Note that on SQL Reporting, the ASP.NET MVC Web Application templates do not support the ReportViewer control. Joining the Digital Dots: What’s your worst data storage story? What’s your worst data storage nightmare? Feel free to comment, I’ve got a few, but I do have a personal favourite. A few years ago, I visited a company who wanted to talk Business Intelligence to me. In order to get an idea of the quality of their technical estate, I started to ask about their existing processes about the data. For example, how do they back up their SQL Server databases? What do they have in place for storing data now, and what’s their future plans for SQL Server. Well, it turned out that they had a very mysterious plan for storage. They placed backup on on a USB hard drive, which was located on their premises – but that was their only data storage facility for backup. The killer for me was that, when the USB drive was full, they started to back up data to the receptionist’s computer because ‘it wasn’t busy during the day’. Simply put, having everything on the premises was a bad idea since the data was business critical. Further, if their premises were ever burgled, the first thing that would disappear would be the receptionist’s computer given its proximity the front door. Given that the USB Hard drive was being shunted from desk to desk and easily accessible (and pinchable!) this could only be considered a temporary dumping place for data at best. The resolution was simply to offer the customer a cloud storage strategy, which they could easily afford and put in place quite simply. This was a nimble solution for a small to medium enterprise, who can’t afford the data centres and other facilities of larger organisations. This is what happened, and the organisation was quite happy once they’d been advised properly, and understood the cheapness of the cloud solution versus losing all their data due to critical loss, theft or simple plain bad luck. Looking at data is no longer about looking at only one technology, a ‘one size fits all’ solution. Knowing about the storage is a critical part of looking after data, and there are plenty of options to help organisations to sort themselves out with a strategy on storage. Since I run into these horror stories SQL Server customer scenarios quite often, I was happy to see that there are plenty of solutions around that will help. Azure offer a Windows Azure Backupthat helps organisations to protect important server data off-site with automated backup to Windows Azure. Another option to consider is Cloud Integrated Storage is something that organisations can leverage so that they get ‘the best of both worlds’ – a balance of cloud and on-premise storage. Microsoft have a spin-off company, called StorSimple, who can help you to achieve cloud integrated storage. As a technical influencer in your organisation, you’ll need to know about the options available to you. If you like an in-person event, please take a look at the Cloud OS Community Relay, which is holding free training days on Windows Server 2012 R2 and System Center 2012 R2. These are the ‘latest and greatest’ from Microsoft, and you can find more information here about the Cloud OS Community Relay. It’s organised by MVPs for the community, and I’m one of the UK MVPs helping to organise SQLRelay. You might be interested to know about the SQLRelay events, which are more SQL Server focused and run alongside the Cloud OS Community Relay. You can find out more here, or if you’d like to come to the Hertfordshire event on 15th November, please take a look here. In the meantime, I’ve put some information about StorSimple below in case you’d like to take a look.